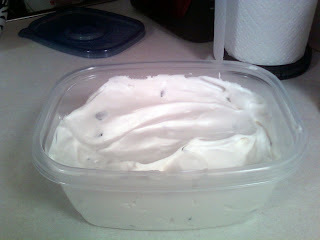 Flour Mayhem: Homemade Ice Cream! I have to admit, I was a bit skeptical at first when I found out about this on Eagle Brand. Really, just these few ingredients could make a creamy, delicious, AT HOME without an ice cream maker ice cream? No way.. But oh was I wrong, so so wrong. It was creamy and so good. 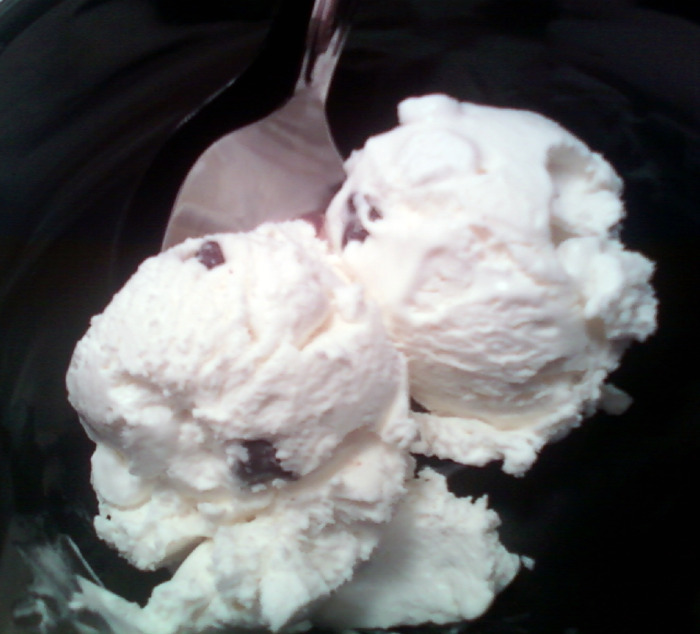 Before I put it in the freezer, I licked the spoon. HELLO YUM! It's super simple, take a pint of heavy whipping cream, beat until stiff peaks form, then in another bowl add one 14 ounce cane of sweetened condensed milk, a teaspoon of vanilla, and whatever add ins you want.. 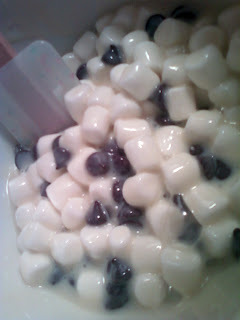 I did chocolate chips and mini marshmallows this time. I added about 1/3 cup of each, maybe a tiny bit more. 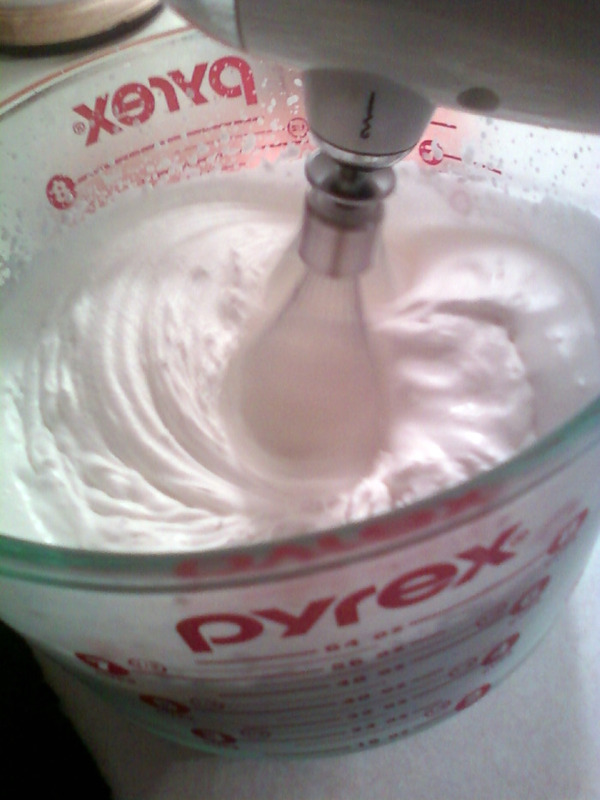 I just poured it in ;) There are so many different combos you can make.. You better believe I'm making up some more! Fold the whipping cream into milk mixture, pour into a 3 quart freezer container, and freeze for 4-6 hours or until firm. Mine was ready in about 4 hours. 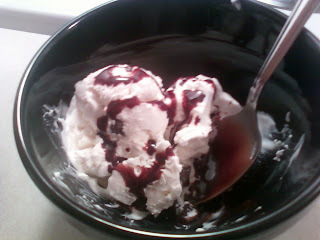 Just take a spoonful of home made chocolate syrup, and enjoy!! I made the chocolate syrup, and a caramel sauce as well. Check back for those recipes, See you soon!